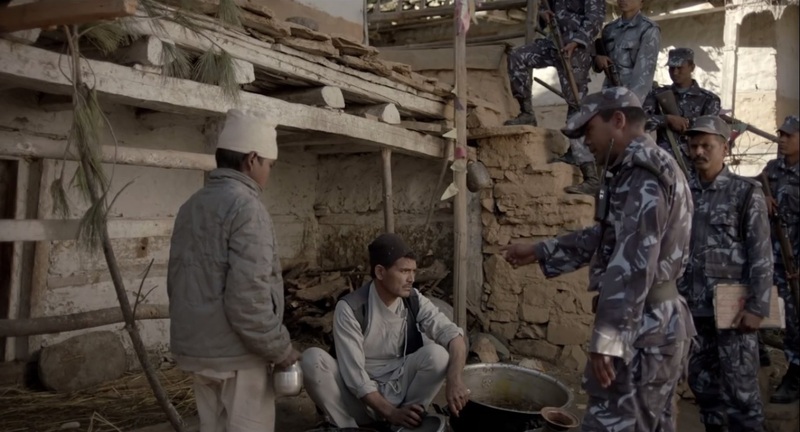 KALO POTHI (2016 / 2073) is the Nepali Film by Min Bahadur Bham on production of Shooney Films (NEPAL), Tandem Production (GERMANY), Mila Productions (NEPAL), CDP (FRANCE) and Kaldhungi Films (NEPAL). The movie is schedule to release on 3 JUNE 2016 / JESTHA 21, 2073. Year 2001, a temporary ceasefire brings much-needed break to a small war-torn village in Northern Nepal, bringing much joy among the residents. PRAKASH and KIRAN, two young close friends, are also starting to feel the change in the air. Though they are divided by caste and social creed, they remain inseparable, and start raising a hen gifted by Prakash’s sister, with hopes to save money by selling her eggs. However, the hen goes missing. To find it, they embark on a journey, innocently unaware of the tyranny brought by the fragile ceasefire. 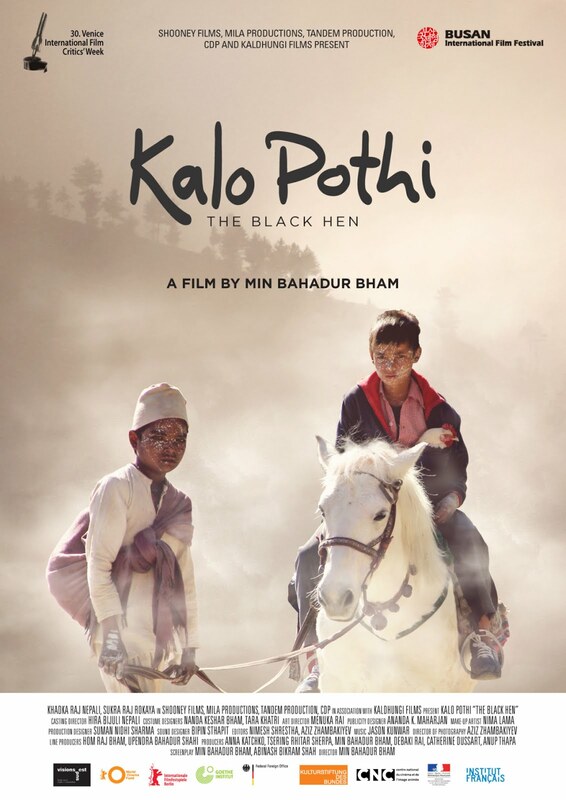 Kalo Pothi (2016 / 2073).KALO POTHI was awarded with BEST FILM AWARD at Venice International Film Festival Critic's Week, Italy and SPECIAL MENTION at 34th International Film Festival of Uruguay . The movie was featured on different Film Festival on around the world. The movie is Releasing on 3 JUNE, 2016 / JESTHA 21, 2073.